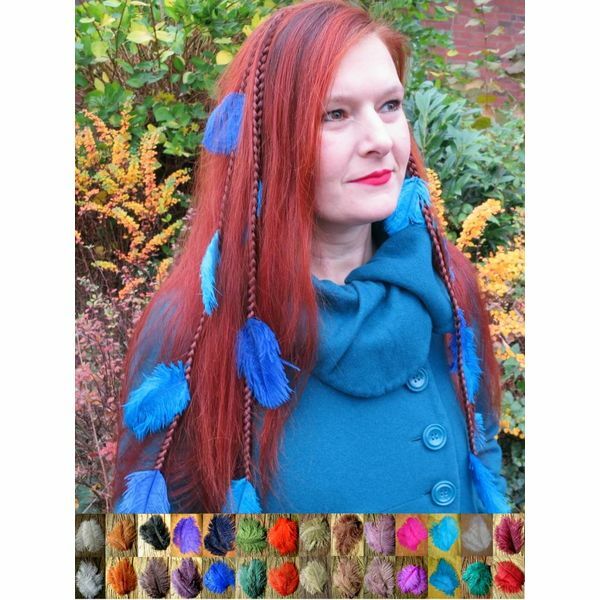 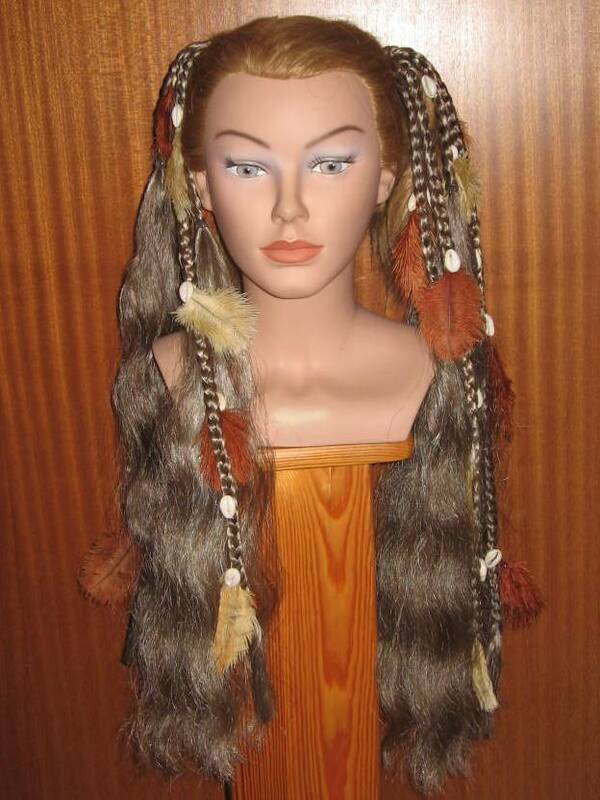 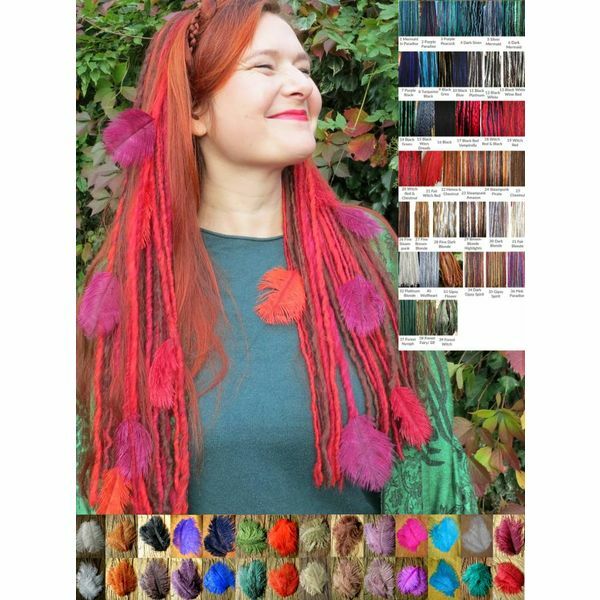 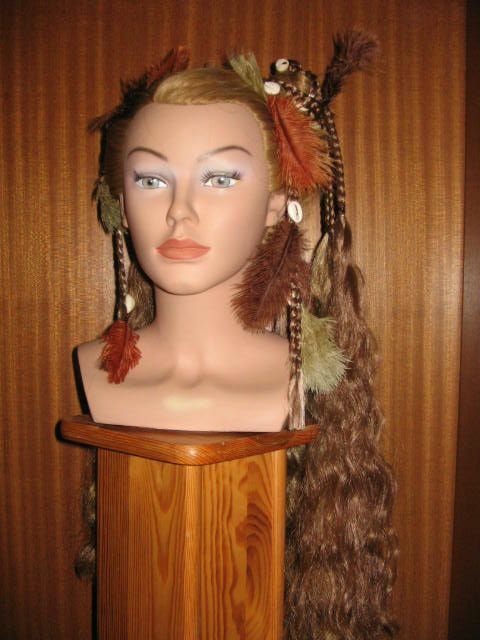 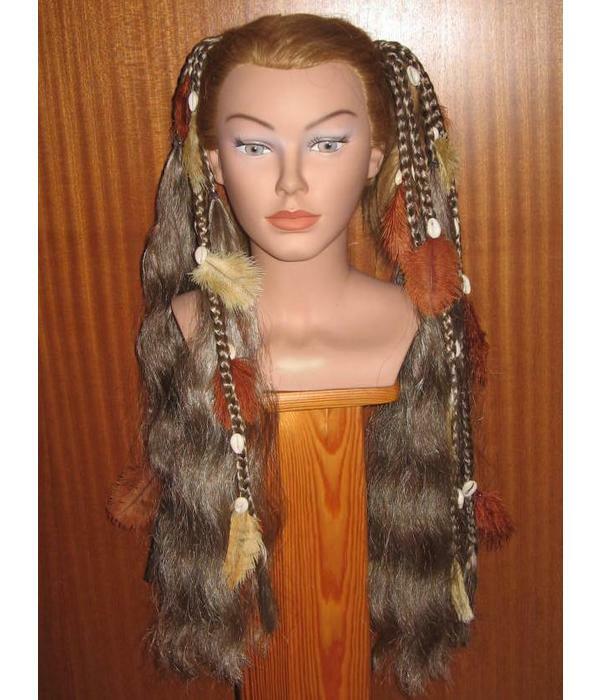 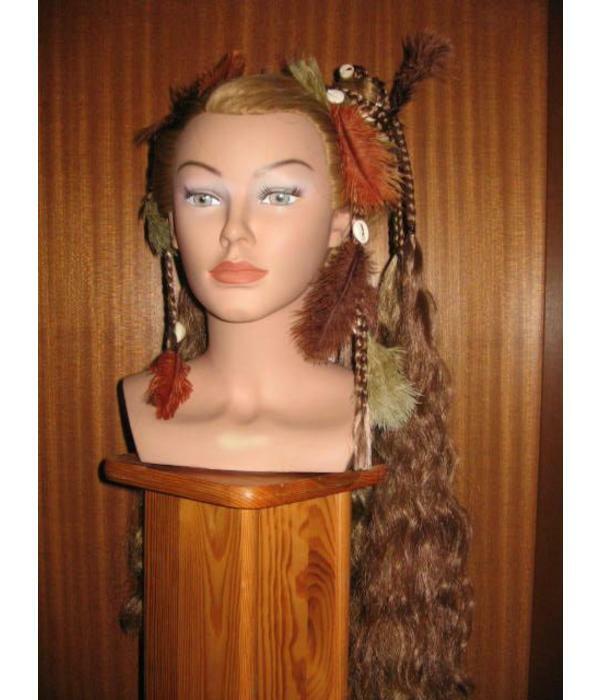 Pair of fantasy hair falls Gipsy Magician with ostrich feathers and rich cowry decoration - to wear as pigtails and to create gorgeously braided fantasy updos! 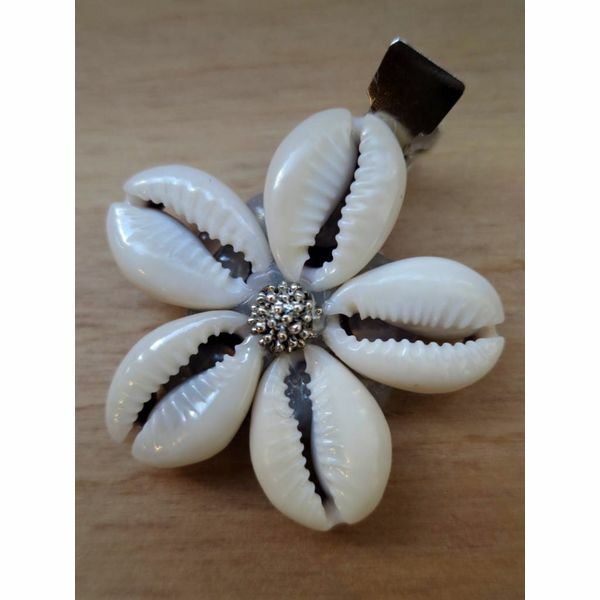 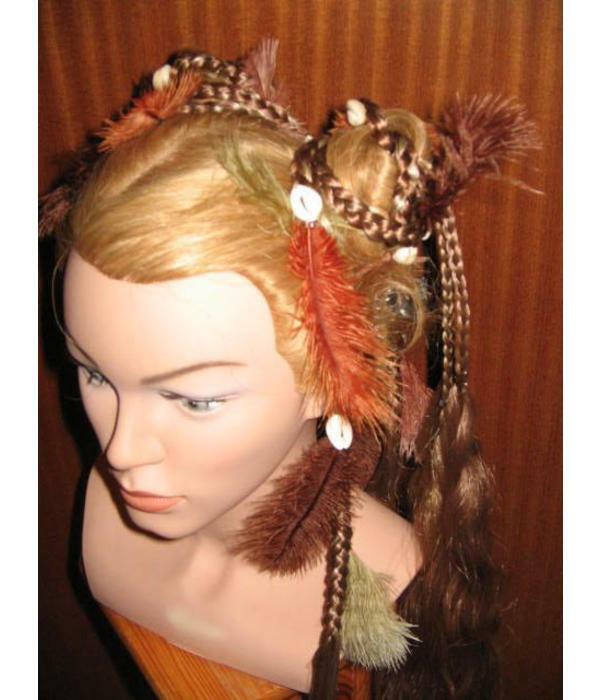 This hair piece pair is a hair dream come true with cowries and ostrich feathers! 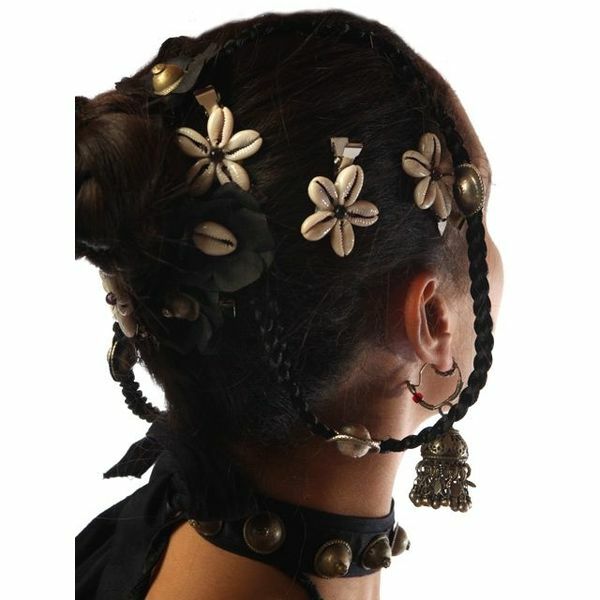 It's actually more than a hair fall, it's hair extensions and headpiece/ hair jewelry in one item because of the rich decoration! 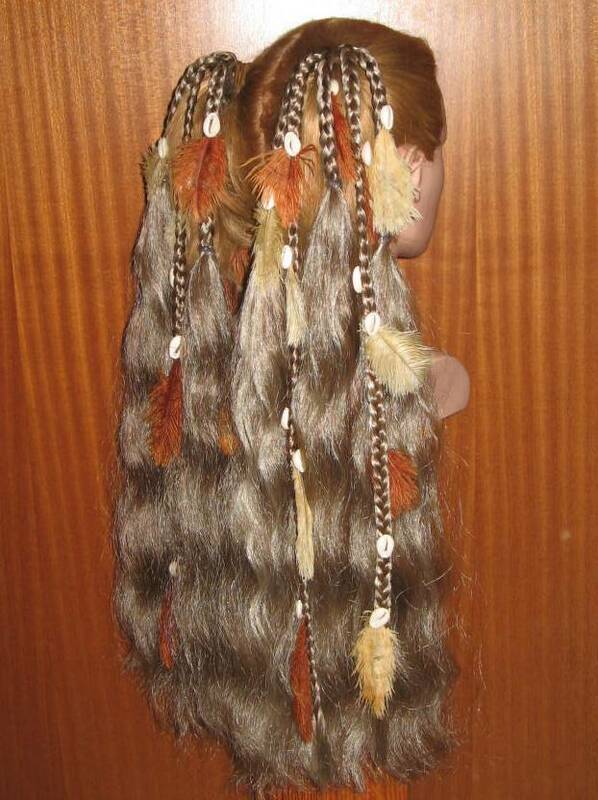 30 cowries are attached to the braided parts and you can choose wether you want 18 ostrich feathers or 36 for your hair falls. 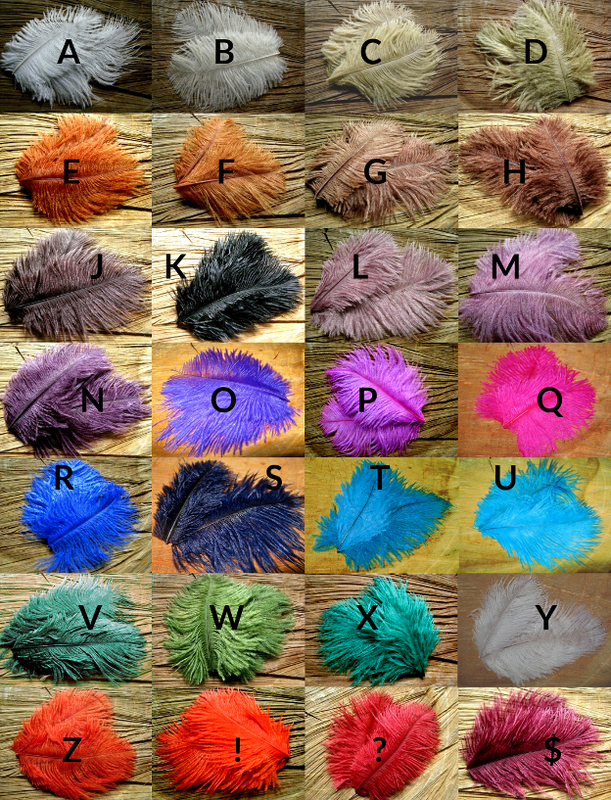 Feathers can all be the same color or a mix of up to 3 colors - pick the perfect colors to match your costume! 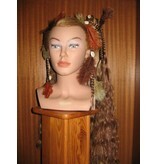 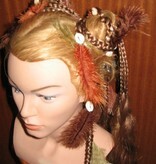 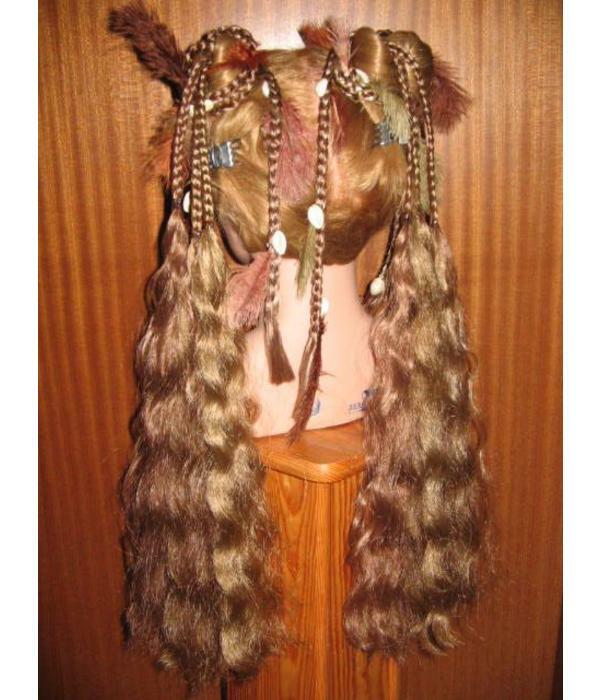 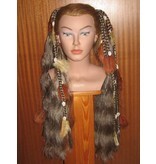 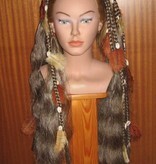 18 feathers are included in the price and will be used to decorate the two completely braided braids. 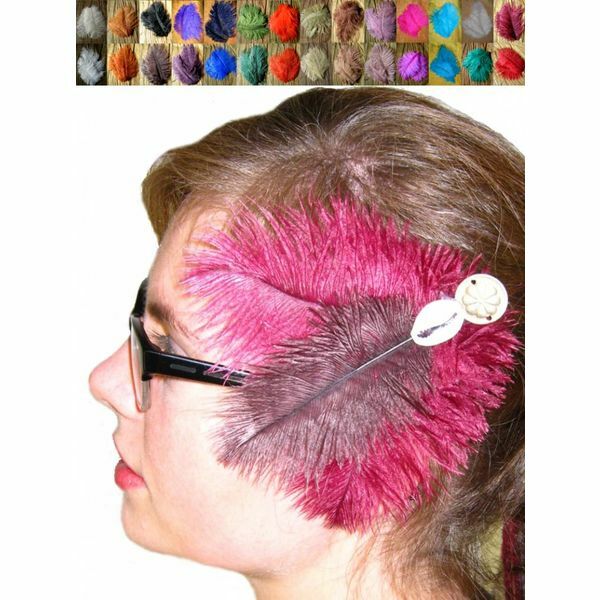 If you pick 36 feathers we will have additional feathers to decorate the beginnings of the half open strands - they will get a "feather-ruffle" of 3 feathers each this way. 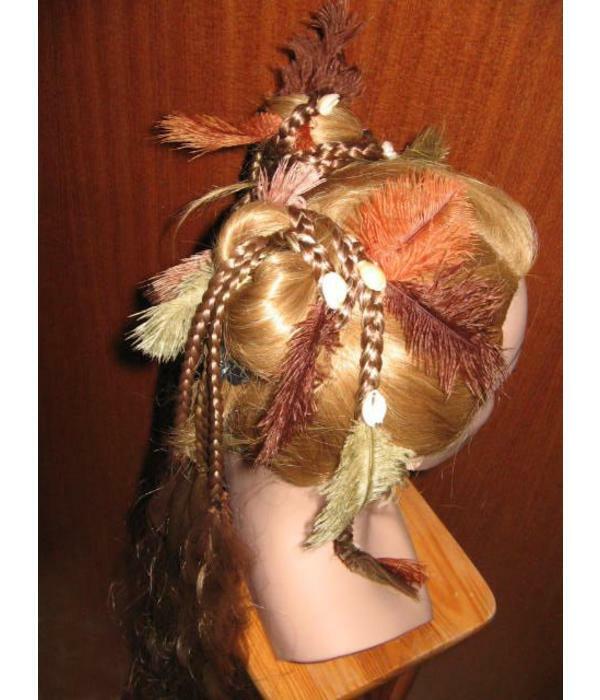 Please check respective menu for the little extra costs for these extra feathers. The extra "feather ruffles" are especially beautiful if you want to use the styling option shown in most pictures, where the completely braided braids with the feathers are draped around the head and secured with hair pins to make a braided fantasy hairdo. 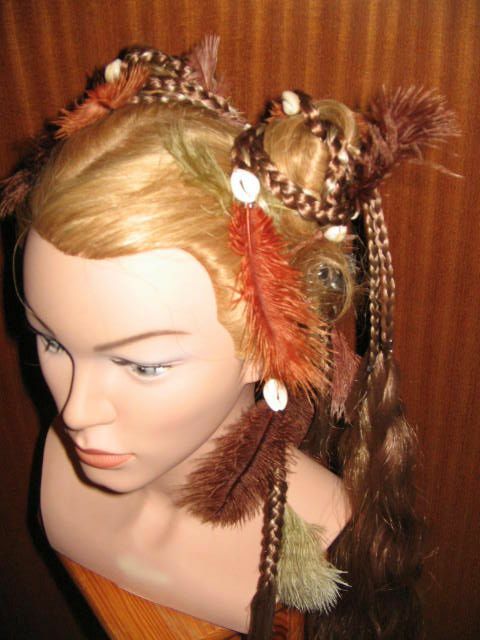 If you do not add the extra feathers the parts of hair hanging down will not have any feathers. 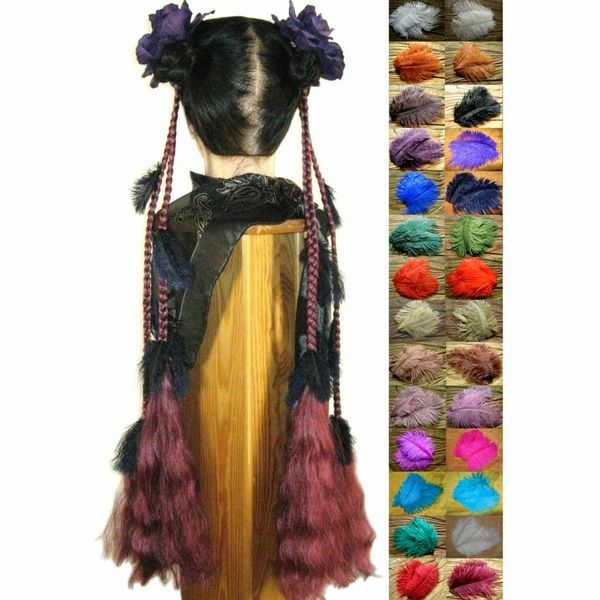 This fantasy hair piece set is perfect for costuming - it matches all "magic" characters like faeries, elves, mermaids magicians, shaman, amazons and is a gorgeous addition to your costume! 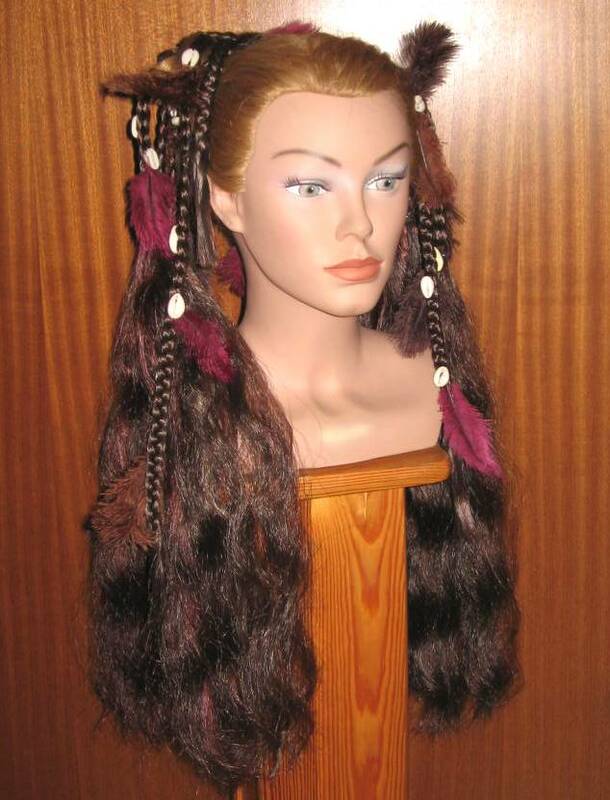 Also perfect for steampunk and Goth stylings, the design is unique by Magic Tribal Hair - your hairstyle will surely be an eye-catcher at respective party, event or festival, different to any other Gothic or steampunk hair extensions around! 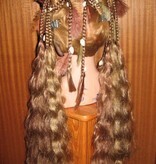 Tribal fusion belly dancers also love this model because the cowries perfectly match their costume styles! 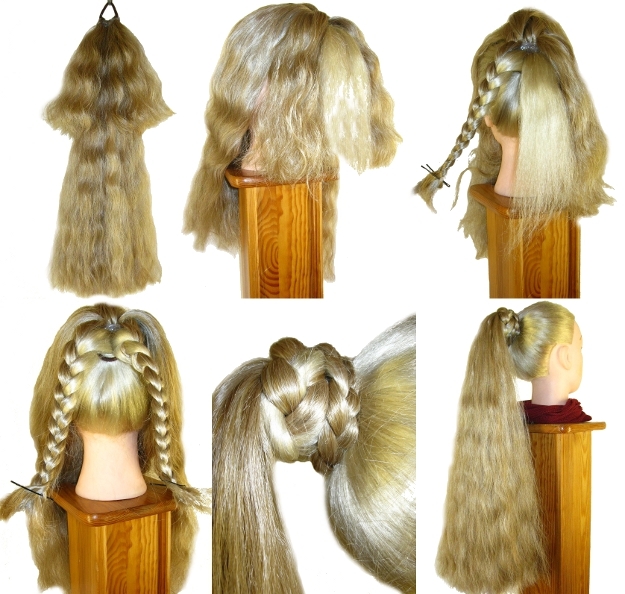 These hair falls come as a pair of our most popular volume size M and have two completely braided strands and 3 half open rich strands of hair each. 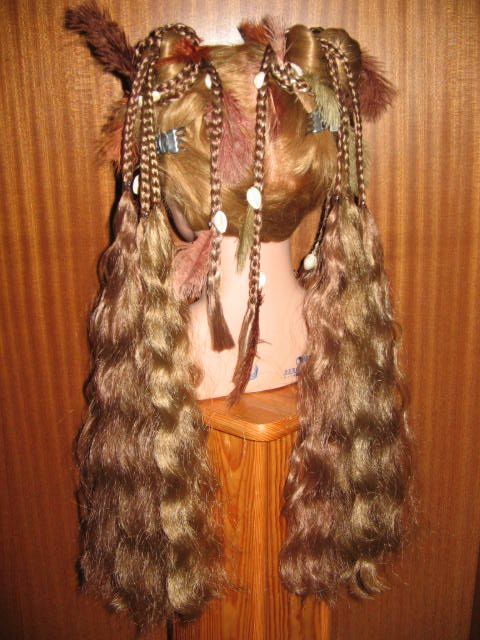 The braided parts are about 1.5 cm/ 0.6 inches thick and the halfway braided parts and the complete braids are sealed and won't open any further. 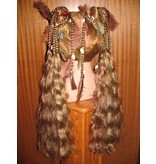 Each hair piece is about 55 cm/ 22 inches long and can also be worn single, of course! 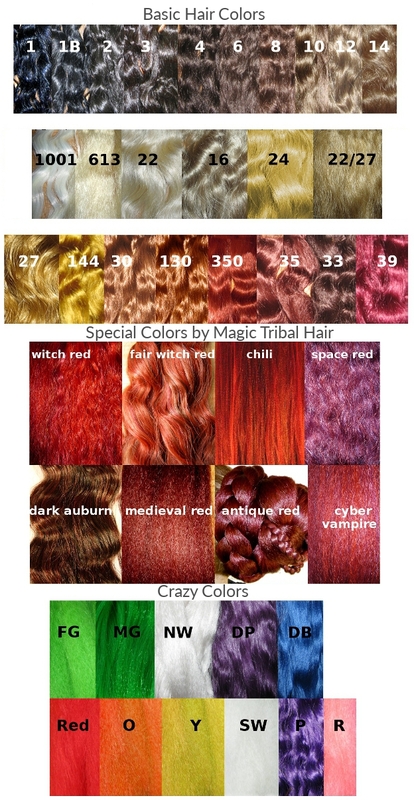 What makes our Magician style hair falls so special? 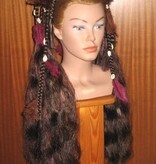 The playful mix of open natural wavy or crimped (very voluminous!) 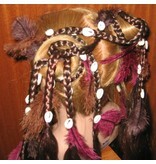 hair makes the special look of this magician fantasy hair fall. 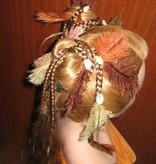 Naturally the peacock feather decoration adds some enchanting elements on top! 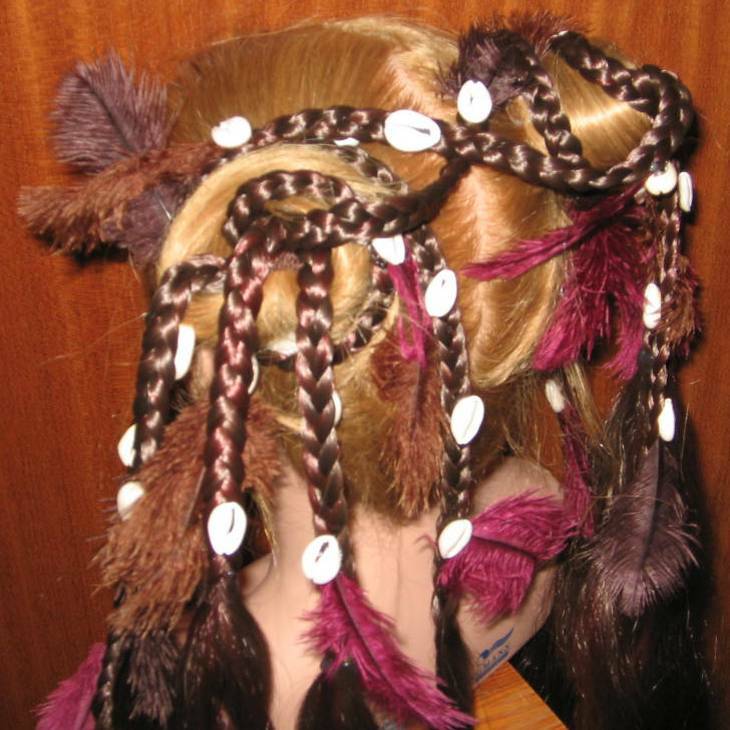 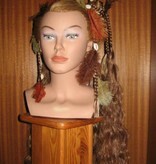 The half open hair in these hair pieces is for the volume and the braided parts carry the peacock feather decorations. 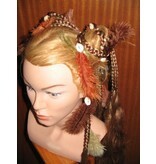 The feathers are attached opposite each other on the half open parts, which means there aren't any backsides. 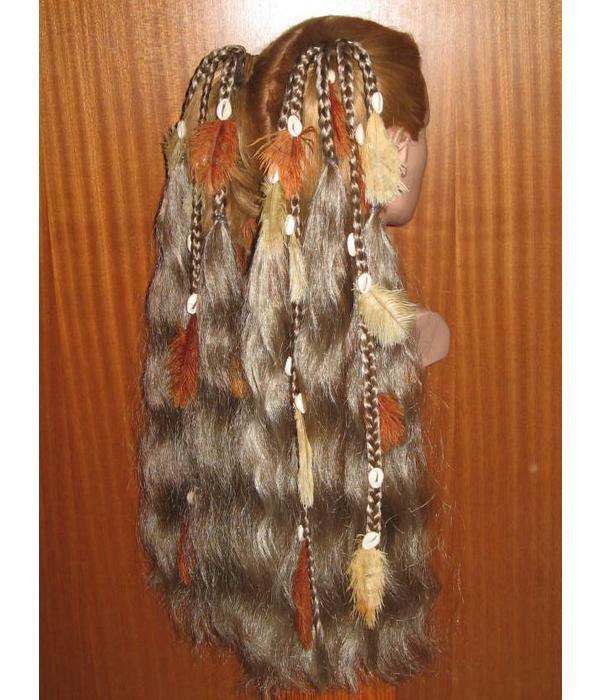 So there are 6 feather on the half open parts and 11 feathers distributed on the 2 completely braided braids. 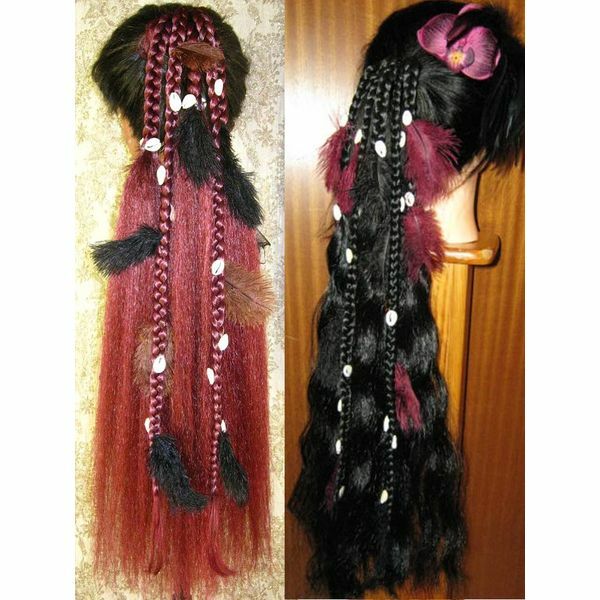 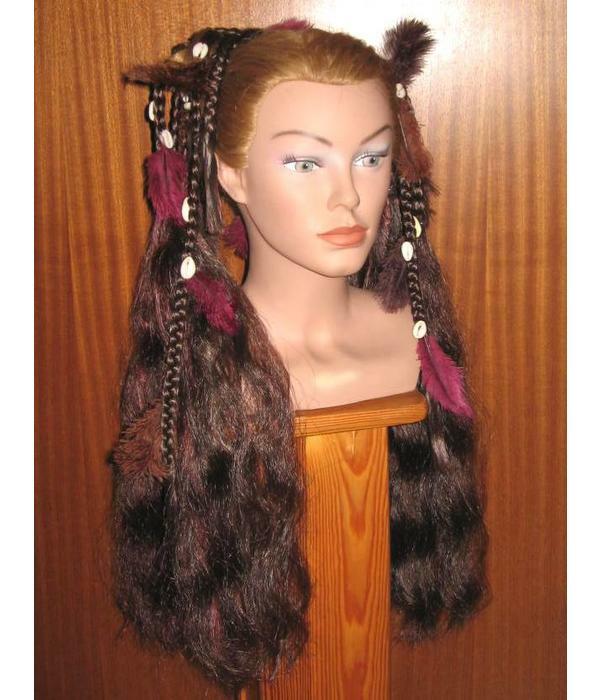 Our magician hair falls are very popular among tribal fusion belly dancers, as theatre equipment and fantasy hair falls for costuming like Halloween, larp, at Renfairs and for cosplays. 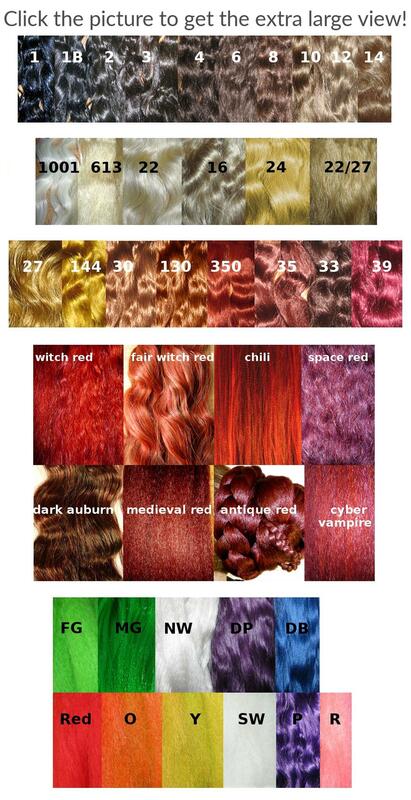 Choose among 3 hair textures! 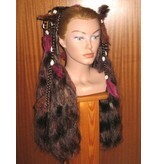 Make your choice in the menu above before adding your hair piece to your cart. 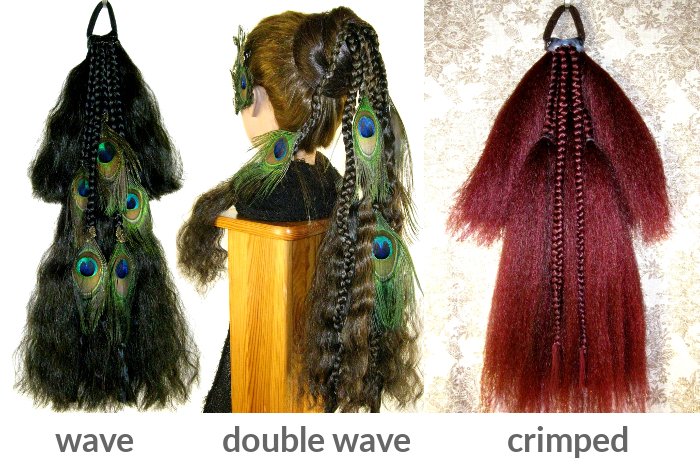 Crimped hair texture is quicker to make than the other textures, so falls with crimped hair cost a little less, see menus for all discounts and additional costs. 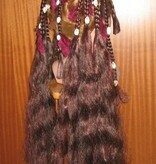 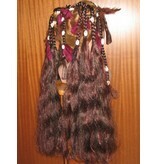 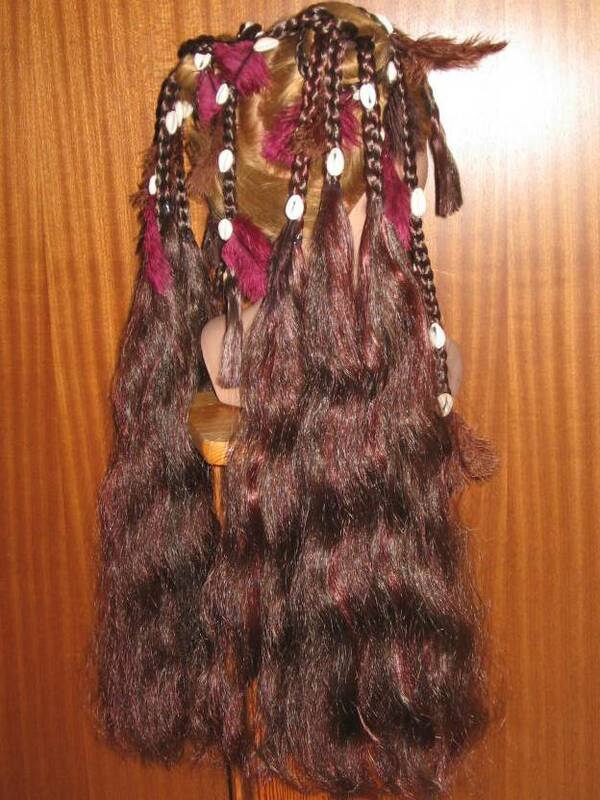 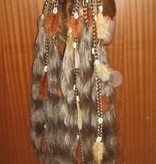 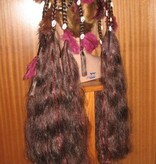 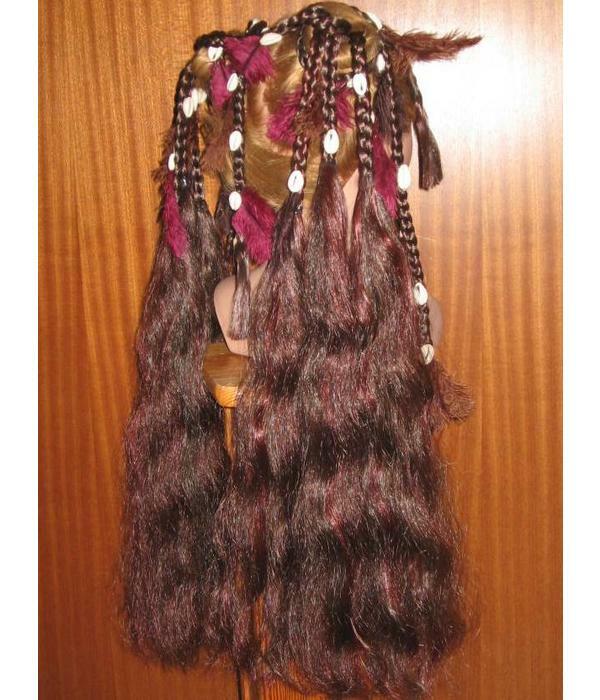 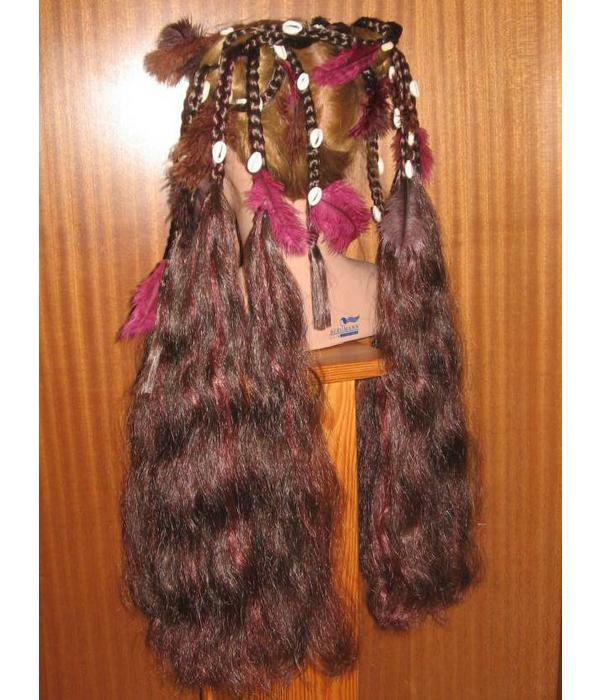 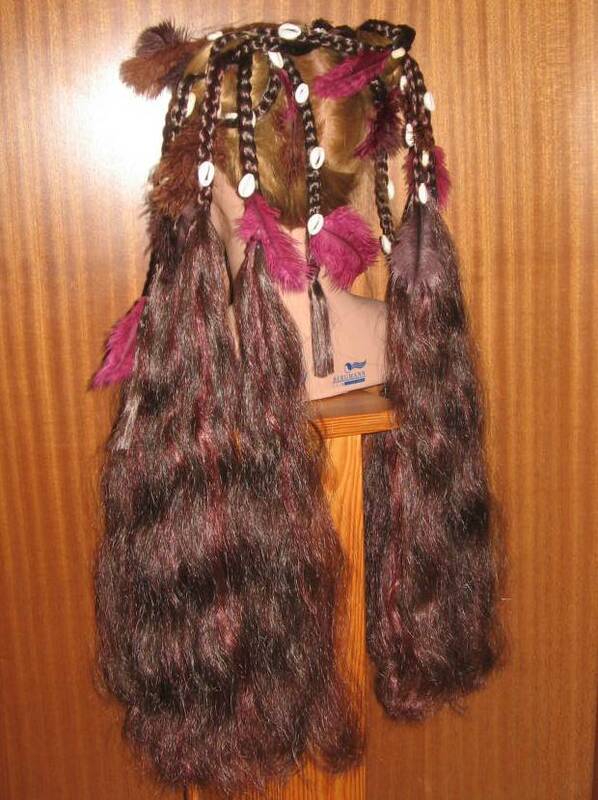 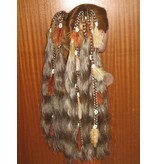 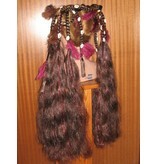 We offer these hair extensions with rich cowry decoration with our professional attachment for extra strong hold only! Put the hair piece in your cart to safe your choice (add feather choices first!)! 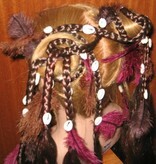 Please contact us for any questions about our fantasy Magician and tribal fusion belly dance hair falls!